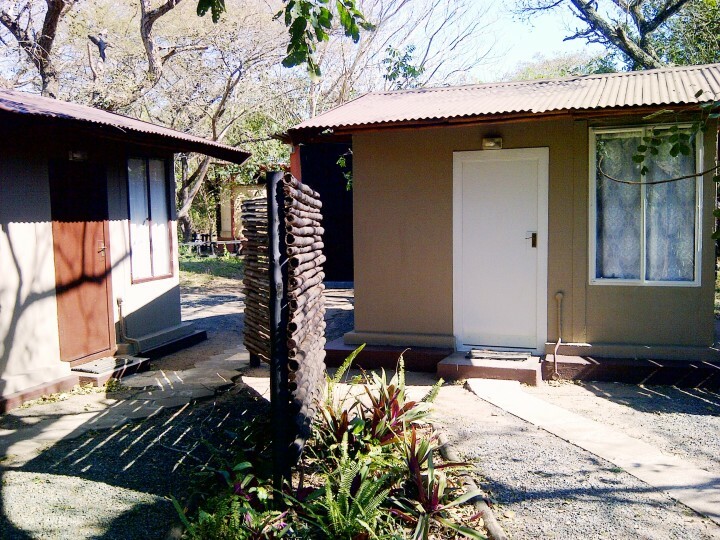 Isinkwe Backpackers Bushcamp offers budget accommodation 15 km from Hluhluwe Town, located close to the Hluhluwe/Imfolozi Park. 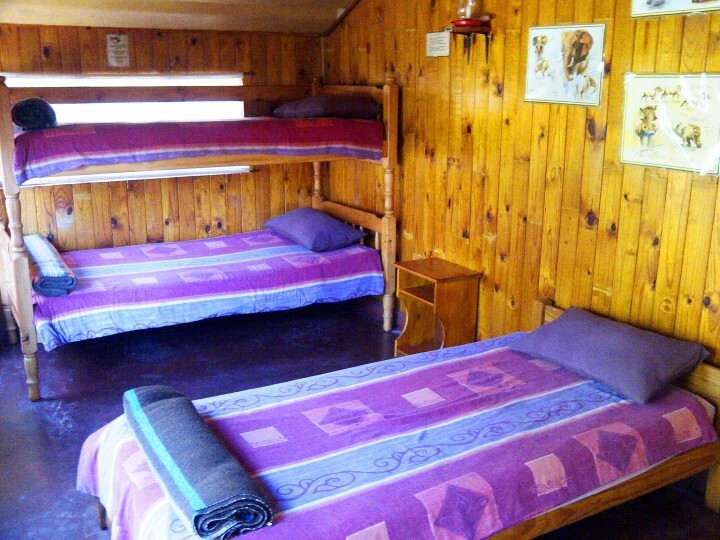 Isinkwe Backpackers Bushcamp offers budget accommodation 15 km from Hluhluwe Town. 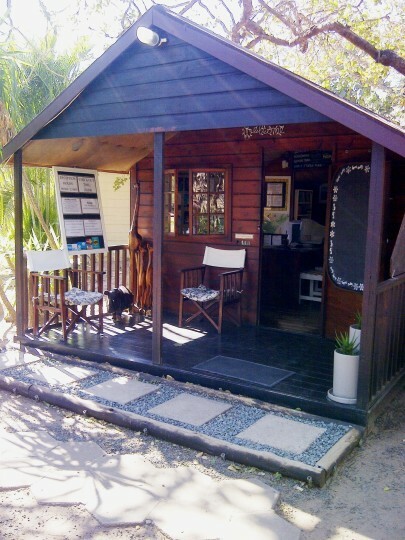 An original bushcamp located amidst world famous wildlife destinations such as Hluhluwe/Imfolozi Game Reserve and the Greater St Lucia Wetlands Park. 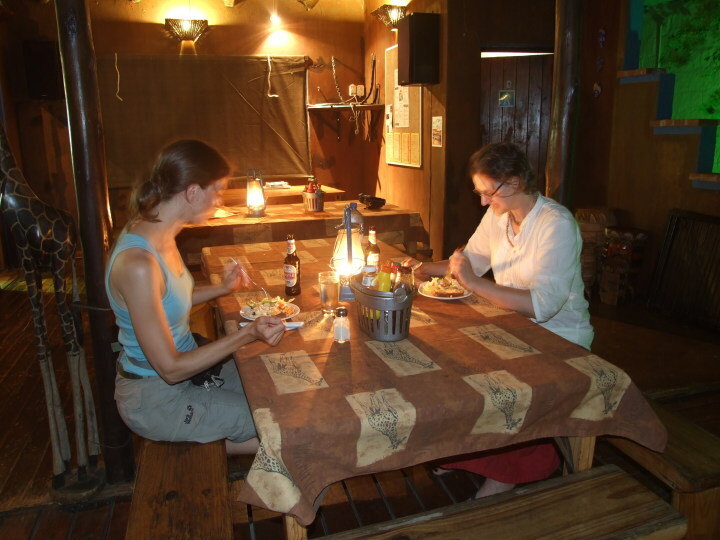 Isinkwe Backpackers Bushcamp has a strong wildlife theme throughout the camp and lies nestled within indigenous woodland bushveld. 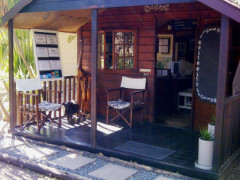 On arrival you are greeted by friendly, shady indigenous trees forming a tranquil hide-away. An excellent base from which to explore the many famous wildlife destinations of the Elephant Coast Tourism Region. The word "ISINKWE" is the Zulu translation for Bushbaby. 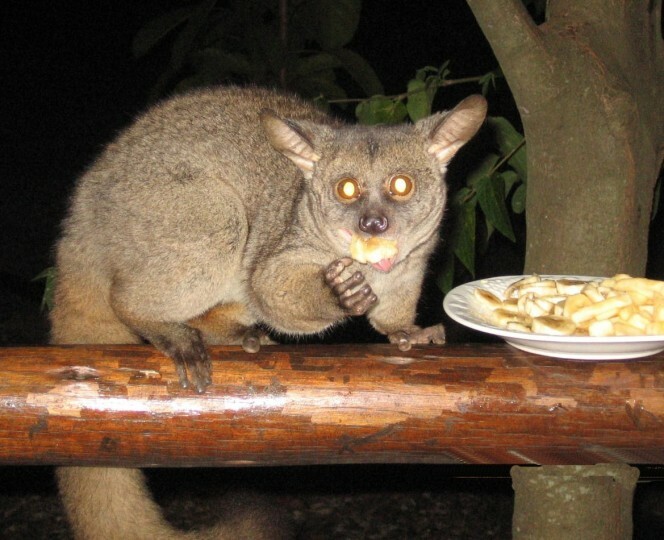 These interesting nocturnal animals are classified under the primate family and frequent the lodge at night. 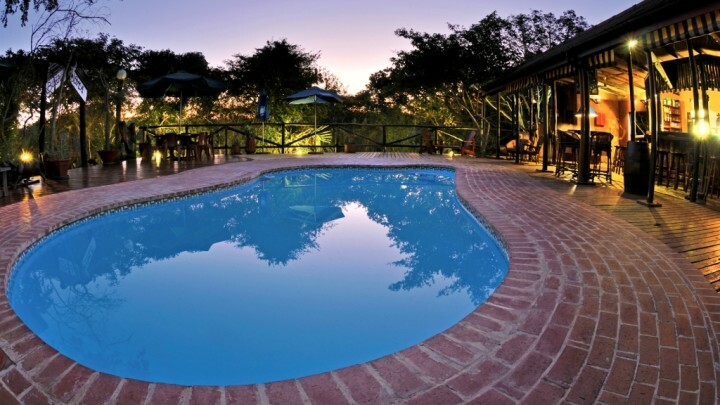 We are close to several tourist attractions including the Hluhluwe/Imfolozi Game Reserve, Greater St Lucia Wetlands Park, Dumazulu Cultural Village and Emdoneni Cheetah Project., Isinkwe Bushcamp offers budget accommodation, inclusive of breakfast and a home-cooked dinner served from our canteen at the "Africa Bush Junction" next to the swimmingpool. 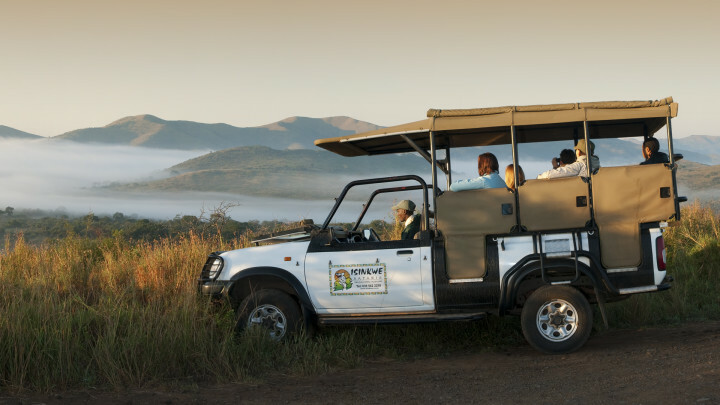 Only 25 minutes drive from the Memorial Gate, Northern entrance to the Hluhluwe/Imfolozi Game Park and set within 22 hectares of indigenous sand forest, we offer the best natural bush experience at budget rates in the area. 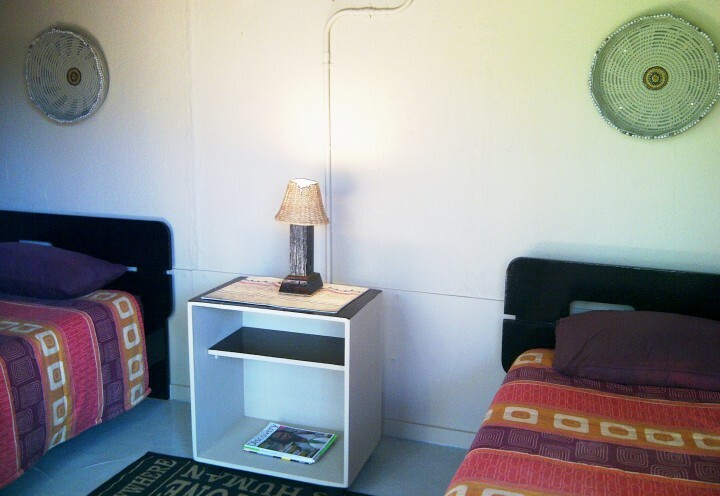 Situated 2 hours 30 minutes drive from King Shaka International Airport. No Bus Service. 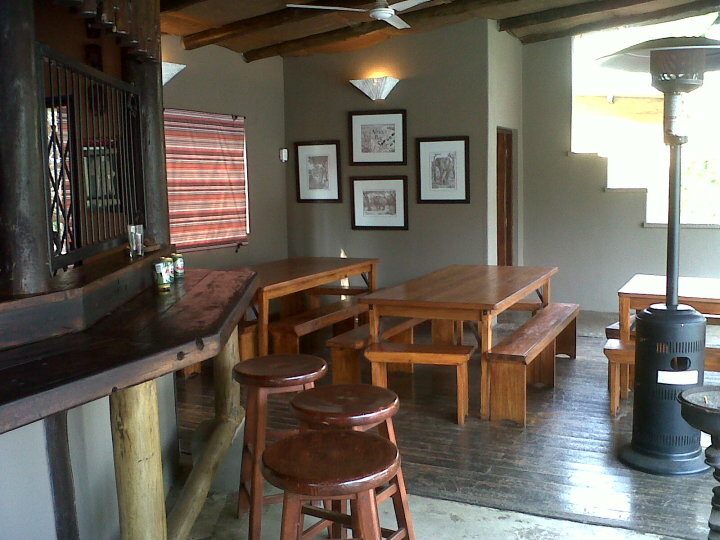 Greyhound bus from Durban or Johannesburg stops at Richardsbay. Richardsbay is 100km from Isinkwe Bushcamp. Book payable transfer with Isinkwe directly.